One of the things I love most about summer, besides all of the amazing fresh fruit and veggies, is that you can make an entire meal on the grill! To me, that means little effort, big flavor, and almost zero cleanup. What more could you ask for in a summer dinner? 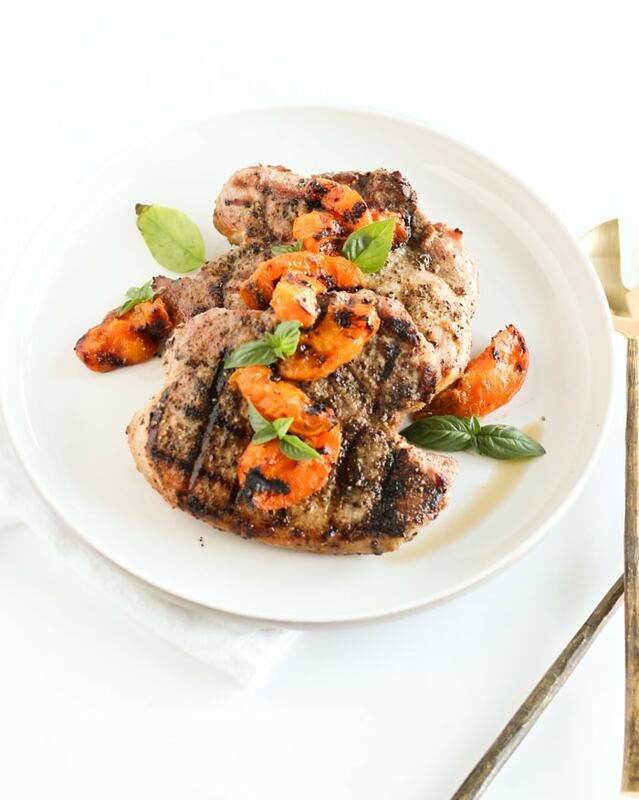 These delicious apricot grilled pork chops are so simple. They need only 6 ingredients (not counting salt and pepper) and cook entirely on the grill. They also use beautiful seasonal apricots for natural sweetness and summer flavor. What really makes this dish perfect for summer is how easy it is to prepare. 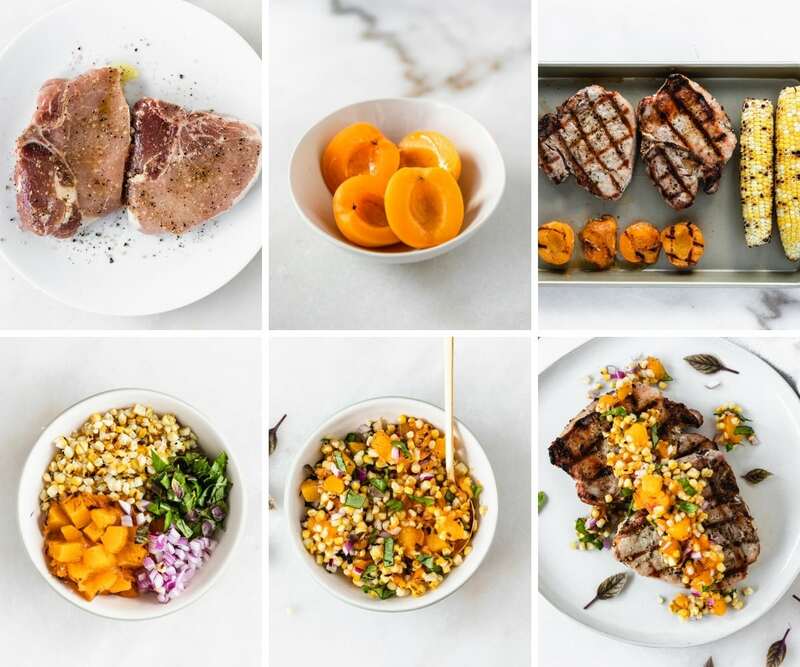 You can have a healthy, delicious and seasonal meal on the table in just 20 minutes, and you don’t need any fancy ingredients for a dish that’s big on flavor! That way you can spend more time hanging out with your family and friends and enjoying lazy summer nights and less time cooking. It’s the perfect weeknight meal. Mr. Table and I have been making a lot of pork dishes this year since they are so easy and affordable. 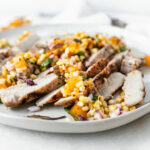 Many people think that pork is unhealthy, but there are plenty of lean cuts, like center cut chops and tenderloin, that have lots of flavor and less fat. 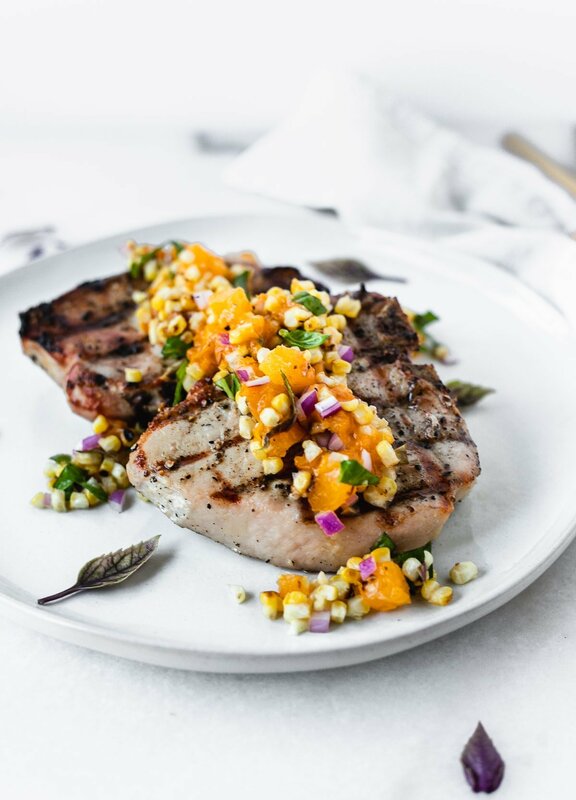 Serve these delicious grilled apricot pork chops with some easy grilled veggies or a simple green salad and a glass of rosé for a perfectly effortless summer meal! Season pork chops with salt, pepper and garlic powder on each side. Rub with 1 tbsp of the olive oil. In a small bowl, combine apricot slices, balsamic, and 1 tbsp of olive oil. Gently stir to combine. Sear pork chops over high heat for 2-3 minutes per side. Move to indirect heat, or turn heat to medium-low, and continue to cook until insides reach 145° F.
Meanwhile, grill apricot slices on each side for 1-2 minutes. 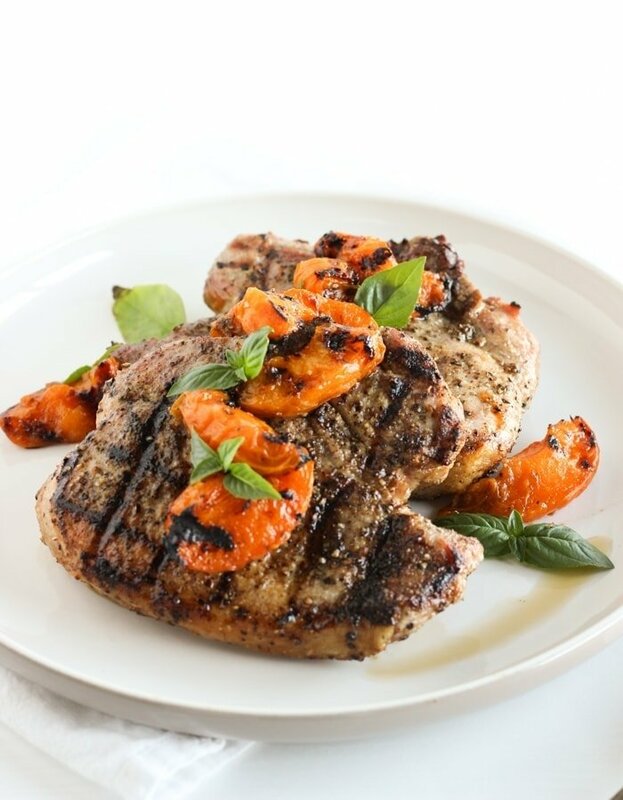 Remove pork chops to a plate and let rest 5-10 minutes. Serve with grilled apricots and fresh basil (optional).